Neurotechnology startup Dreem announced today that it’s raised $35 million in a new round of funding, which the brand says it’ll use to further develop its sleep tracker technology. 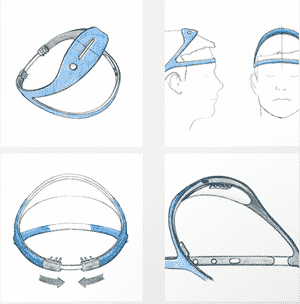 The company has been on a mission since its founding in 2013 to “conquer sleep,” specifically with the Dreem headband, a device sleepers affix to their heads at night to help track and improve their slumber. To date, the brand has amassed nearly $60 million, with the latest investment coming from pharmaceutical giant Johnson & Johnson. To learn more about what the startup plans to do with the influx of capital, I spoke to Dreem CEO and co-founder Hugo Mercier. He added that a major piece of this last goal will be to use the funding to expand the Dreem team, which currently employs 70 workers across two headquarters in Paris and San Francisco. According to the Dreem website, the headband monitors users’ sleep by recording and analyzing the brain’s electroencephalography (EEG) via five discreet sensors on the device. These readings (when combined with ones for movement, heart rate, and respiration) provide sleepers with a comprehensive intake of their sleep hygiene every morning. 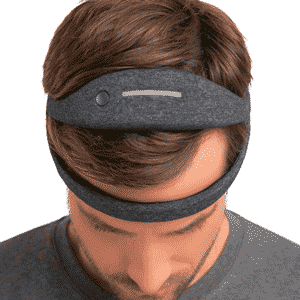 And for those concerned about privacy, the headband is reportedly unable to access WiFi or Bluetooth while engaged at night, only doing so when it’s plugged in to recharge the next day. Then, the sleep data is uploaded to the cloud and made accessible on the Dreem smartphone app. Interested in learning more about smart sleep tech? Check out our conversation with Jason Hong (Associate Professor of Computer Science at Carnegie Mellon University) about the effectiveness of smartphone-based sleep tracking apps..